For the first time in 2017, all full-season Verizon IndyCar Series entries are testing this weekend at Phoenix Raceway. Twenty-one cars are entered for the two-day test that concludes Saturday around the 1-mile oval in Avondale, Ariz., steeped in Indy car history. From 1964-2005, 61 races were contested on the track, with legendary drivers A.J. Foyt Jr., Mario Andretti, Al and Bobby Unser, Johnny Rutherford and Rick Mears among the winners. The IndyCar Series made a much-anticipated return to Phoenix Raceway in 2016 with a current superstar, Scott Dixon, etching his name into the victory book. The driver of the No. 9 Chip Ganassi Racing Chevrolet recorded his 40th career Indy car win that night, moving the Kiwi into sole possession of fourth place on the all-time chart. Dixon is among the Open Test entries this weekend, his four-car Ganassi team making its first public showing since switching to Honda engines and aero kits for this season. 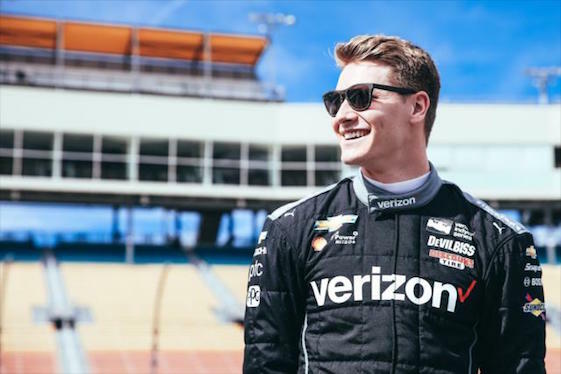 Other notable changes for the test will see Josef Newgarden making his public debut with Team Penske in the No. 2 Chevrolet, while teammate Simon Pagenaud turns his first laps in the No. 1 Chevy signifying his stature as the reigning series champion. Carlos Munoz (No. 14 car) and Conor Daly (No. 4) will turn laps in A.J. Foyt Racing’s ABC Supply-sponsored entries, now part of the Chevrolet Racing camp. Reigning Indy Lights presented by Cooper Tires champion Ed Jones is the only current fulltime rookie in the field and is paired with Sebastien Bourdais at Dale Coyne Racing. Test sessions both days run from 3-6 and 8-11 p.m. (EST). Saturday’s session is free to the public, with gates opening at 2 p.m. (EST) and with an all-driver autograph session taking place between practices. Live video streaming (without commentary) of all practice sessions will be available at racecontrol.indycar.com. Tony Stewart, a former IndyCar Series and three-time NASCAR Cup Series champion, is returning to the Indianapolis 500 _ as a car sponsor. Stewart’s charity, the Tony Stewart Foundation, announced Tuesday it has formed Team One Cure to create awareness, enthusiasm and understanding for the Flint Animal Cancer Center at Colorado State University that develops cutting-edge cancer treatments for humans and pets. To raise awareness for the program, Team One Cure will sponsor the No. 77 Schmidt Peterson Motorsports Honda in the 101st running of the Indianapolis 500. Stewart, who retired from NASCAR competition following the 2016 season, long has been an advocate for children and animals facing serious illness. The opportunity to pair Team One Cure with the Indy 500 was one he couldn’t pass up. Schmidt, a quadriplegic since an Indy car crash during testing in 2000, has become one of the leading INDYCAR team owners. He also founded Conquer Paralysis Now, the foundation devoted to finding a paralysis cure through increased scientific research. Indianapolis 500 entries for one-off drivers Juan Pablo Montoya (Team Penske), Oriol Servia (Rahal Letterman Lanigan Racing) and Sage Karam (Dreyer & Reinbold Racing) previously have been announced. The driver of the No. 77 Team One Cure/Schmidt Peterson Motorsports Honda will be named at a future date. Practice for the 101st Indianapolis 500 begins May 15 at Indianapolis Motor Speedway, with two days of qualifications set for May 20-21. The race on May 28 will air live (11 a.m. ET) on ABC and the Advance Auto Parts INDYCAR Radio Network. For ticket information, visit IMS.com. A pair of Indianapolis 500 champions and one of the most legendary names in motorsports are the newest nominees for the Auto Racing Hall of Fame at the Indianapolis Motor Speedway Museum. New to the ballot in 2017 are three-time Indy 500 winner Dario Franchitti and 1998 Indy 500 champion Eddie Cheever Jr., along with the late legendary driver and car constructor Bruce McLaren. Those three join 13 holdover nominees on the ballot. An esteemed panel of auto racing journalists, participants and historians will select the 2017 inductees, who will be announced on Founders Day, March 20, the 108th anniversary of the day the Indianapolis Motor Speedway Company officially was formed. Note: All cars use fourth-generation Verizon IndyCar Series chassis (Dallara IR12) with Chevrolet, Dallara or Honda aerodynamic bodywork kits, Chevrolet or Honda engines and Firestone Firehawk tires. (R) Denotes Sunoco Rookie of the Year candidate.